Award winning Massage Therapy in the heart of Stirlingshire. 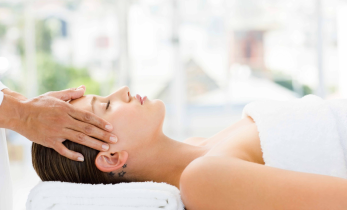 Our massage professionals will ensure that you have the best possible experience when you visit our clinic. Do you have aching muscles or painful joints? Massage can help. We work with and help people in Stirling and beyond who have common ailments such as Back and Neck pain, Tennis elbow, Sciatica, Repetitive Strain Injuries, Frozen Shoulder, Carpal Tunnel Syndrome, Migraine headaches and many more. Many of us lead very busy lives and our bodies need to both physically and mentally relax to ensure we can avoid stress and anxiety. Massage therapy can help by reducing the burden on the mind which can improve physical well-being dramatically. 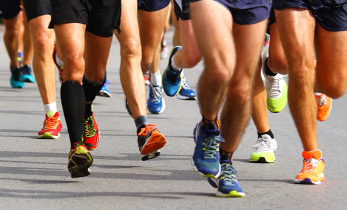 Are you planning to compete in this years Stirling Marathon/ Half Marathon or one or more of the numerous Marathons both here in the UK and abroad or are you a Triathlete, Iron-man or woman, Tennis or Squash enthusiast, Cyclist, Swimmer, Golfer or take part in any sport whatsoever?. If so then massage can help you to perform to your maximum potential.